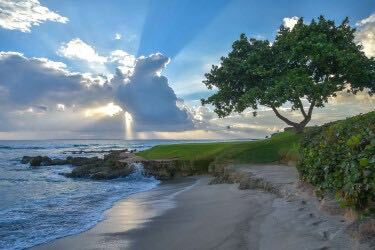 Casa de Campo Resort & Villas – home to the Caribbean’s premier, luxury golf experiences, including the iconic Teeth of the Dog course – has received Golf Digest’s coveted “Editors’ Choice Award” in the “Best Resorts Caribbean / Bermuda” category. The Editors’ Choice Awards annually honors the “best of the best” in 38 industry categories. Casa de Campo received the prestigious accolade in 2017 and 2018 as well. Casa de Campo offers several stay-play-packages ideal to experience a vacation to long savor. Its “Unlimited Teeth of the Dog with Breakfast” package starts at $279 per person, per night through Oct. 31. In addition to “all day” play on Teeth of the Dog, guests can also tee it up from dawn to dusk on the resort’s two additional Pete Dye gems: Dye Fore (27 holes) and The Links (18). The offer includes deluxe accommodations in the resort’s recently renovated guest rooms, full daily breakfast buffet at Lago Restaurant, use of a four-passenger golf cart to travel throughout the resort, complimentary Wi-Fi and use of the resort’s fitness center. All golf rounds are based on availability and include arrival and departure days. The “Unlimited Teeth of the Dog All Inclusive” golf package features all the components above plus daily breakfast, lunch, snacks, dinner and drinks by the glass at resort signature restaurants or room service (extra delivery charge), unlimited horseback riding, use of the property’s tennis courts, one round at the 245-acre Shooting Club, non-motorized water sports and family program activities. This offers starts at $399 per person, per night also through Oct. 31. Casa de Campo also offers an array of exceptional fully-appointed villas perfect for golf groups and families. The villa options range from three to 11 bedrooms with stylish living areas, a private pool as well as myriad creature comforts. From secluded Garden Villas showcasing the area’s abundant flora to the tranquil splendor of the Caribbean coast in an Oceanfront Villa, each style offers contemporary designs. Daily breakfast, private maid service and full-access to a wide range of on-site activities are additional highlights. From May 5 – Oct. 31, all Casa de Campo golf packages include an added bonus: Kids 21 years old and under may play and stay for free with each paid adult (in the same room or villa). The “kids play free” offer extends to à la carte golf rounds as well.